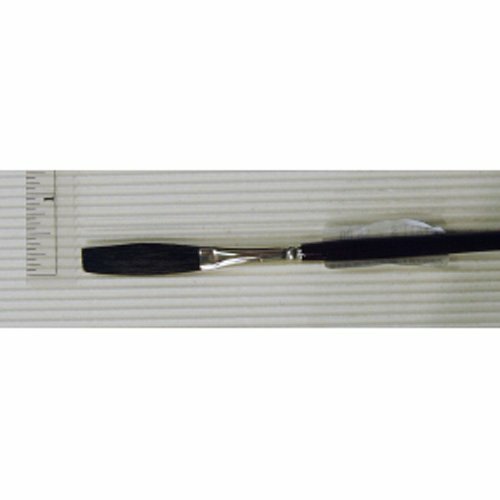 Princeton Neptune Synthetic Squirrel Brushes - Daggers - 3/8"
Pure Squirrel and Black Ox hair make this brush series excellent for overall lettering. It is normally used for large lettering and fill-in work. The long length hair is held by a seamless nickel ferrule. The hair length on this brush is 1 11/16 inches. 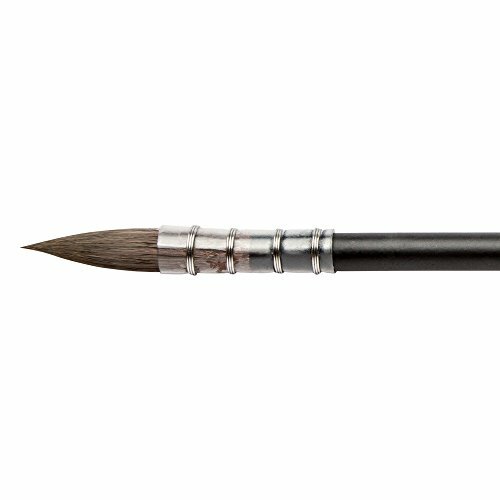 Pure Squirrel and Black Ox hair make this brush series excellent for overall lettering. It is normally used for large lettering and fill-in work. The long length hair is held by a seamless nickel ferrule. The hair length on this brush is 1 3/8 inches. 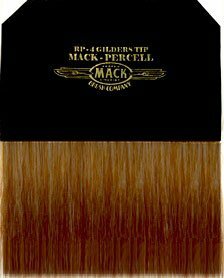 Set of 3 MACK "The Virus" Scrolling/Script PINSTRIPING BRUSHES Part# MAC 444-SET3; (1 Brush) SIZE: 0 HAIR LENGTH OUT: 7/8" ,(1 Brush) SIZE: 1 HAIR LENGTH OUT: 1",(1 Brush) SIZE: 2 HAIR LENGTH OUT: 1-13/16". The Series 444 is one of the sign industries most exciting and innovative new brushes, and is affectionately called "The Virus". 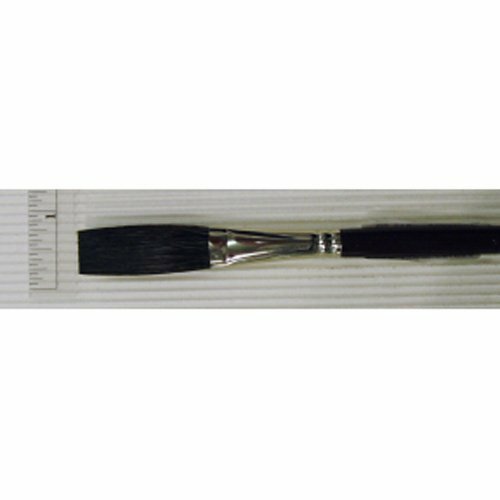 The Series 444 brush is a specially blended golden taklon. This recommended design by the industry leaders is perfect for scroll and script work. Available in size #0, 1, 2, 4, 6 or in sets. The Raven is a short handled watercolour mop brush which is made from synthetic squirrel hair. It has an excellent take-up and release of water and holds a lot of paint which will enable you to produce long, flowing strokes. 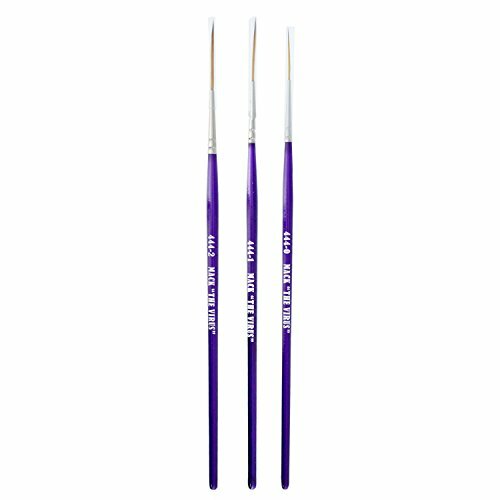 The larger sizes are especially useful for creating big washes of colour without having to reload your brush with pigment or water. The hair is soft and holds its shape really well, it retains a really nice point which will be ideal for finer detail. This is a Size 3/0 Raven Mop, the second-smallest in the range. The length of the handle is 16.2cm, the length of the bristles is 2.3cm and the width of the ferrule is 0.7cm. For script lettering and fine-line detail with oil colors and the mahlstick, the liner is used. Series 1210 has long handles and is a medium length liner of da vinci's finest kolinsky red sable hair that comes to a needle sharp point. In the past, this brush has been known as a lettering, script, showcard or signature brush. Today, it is used for these applications and for oil painting. for the same brush with a longer length, see the da vinci series 1203 or series 1210 which has a straight edge. Made in Germany. 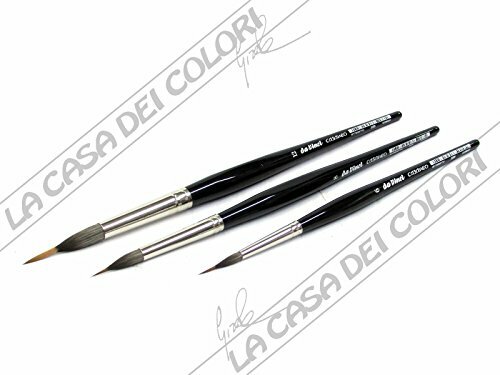 Casaneo features a new "wavy" fiber developed by da Vinci that allows for high color absorption and a soft feel while still coming to a perfect point The very first synthetic inlaid liner by any brush company! Excellent for watercolor, gouache, acrylic, silk painting, calligraphy and ink and for urban sketching. Made in Germany, certified green manufacturing with sustainable wood handles from European forests. Draw the longest line possible with this brush. Casaneo features a new "wavy" fiber developed by da Vinci that allows for high color absorption and a soft feel while still coming to a perfect point or edge. Have you been looking for a set of water brush pens that are refillable, versatile, simple but practical, most importantly - quality? Transon artist water brush pen set is the one! 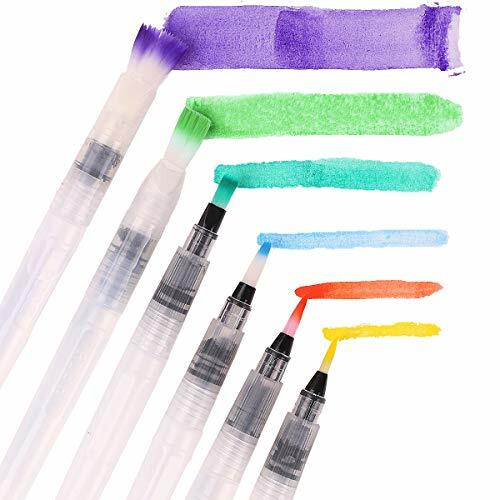 6-piece water brush This watercolor brush pen set is great for powered pigments, solid watercolors, watercolor pencils, water soluble crayons, graphite, markers etc. The water brushes are refillable, you can add water or ink directly (not more than 2/3), and start blending, coloring, lettering with them. Create your art work now with Transon water coloring pens now! - 3 round tip water brush pens. - 3 flat tip water brush pens. - 1 water pen case. VERSATILE PACK of 6 WATERCOLOR SET - water coloring paint brushes set of 3 round tip brush pens, 3 flat tip brush pens They are suitable for watercolors, blending water-soluble pencils, crayons, markers, water-soluble pigments, even inks and any water based colors. You can use them for lettering, calligraphy, watercolor painting and drawing. DURABLE NYLONS - All tips are made of high quality nylons, flexible, white. Excellent resilience give your perfect balance of absorbency and snap. No shedding, and maintains the shapes of the brushes. 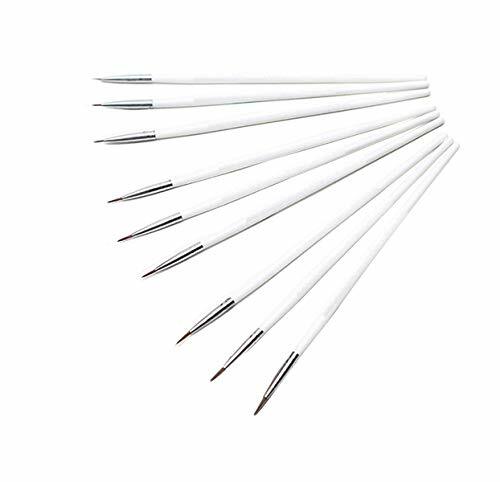 PROFESSIONAL WATERCOLOR PAINT BRUSHES - 6 pieces of round and flat tip water brush pens with different sizes(small, medium, large). Versatile for different occasions such as color blending, drawing, painting, writing, lettering, calligraphy, etc. Long handles are designed for easier flow control, also gives you comfortable grip. Easy to use - Screw off the barrel, fill with water(ink), simply squeeze barrel at the squeezing area to control the flow of the ink or water. Easy to clean - Wipe off the excess paints or colors, then rinse with water. ADVcer 12 pcs Art Paint Brushes Set - Colorful your daily life. Care and sensible treatment of brushes will prolong their life. Note: Make sure that paint does not dry in the brush, soak the brushes in water or essence of petroleum (for solvent based paints). Cleaning: Water based paint-warm soapy water, oil/solvent based paints-petroleum essence. Storage: Flatwise or head upward. 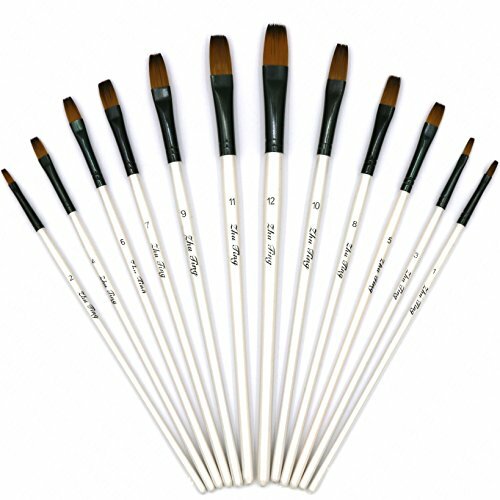 VARIOUS PAINTING SUIT - Paint brushes are excellent both in attractive look and nylon brush hair quality. Good ideas of gift share or self use for Watercolor, Oil, Acrylic Painting / Nail, Body, Face Painting / Miniature, Model, Craft, Rock Painting, etc. COLOR SMOOTHLY & EVENLY - The paintbrushes offer great color control and paint long-wear by hair filaments that hold and release colors smoothly and evenly, making every details of your brush strokes perfect. RESHAPE & CLEAN EASILY - Paint brushes nylon hairs are carefully selected and will spring back perfectly after every brush strokes. They can be easily clean up with soapy warm water and reshaped with your fingers. GREAT HAND FEELING - Well-built wooden handles offer you freewheeling control of the brush while painting. 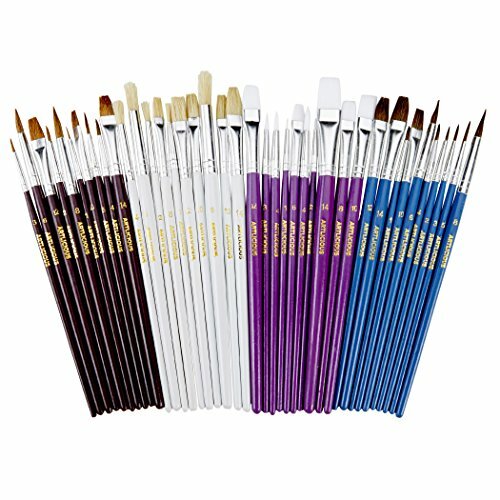 Amazing art supplies to draw consistent paint strokes or diversified pattern as you want. WIDE VARIETY SHAPES & SIZES - Brushes sizes range from #1-12, shapes like Flat, Filbert, Shader. Perfect as hobby paint brushes, kids paint brushes and professional paint brushes for any level of artist.